Damage your smart phone or tablet? There is no need to buy a new device. We can repair it for a lot less than you think. If it can be repaired, we can do it. Reasonable rates, fast and local. Most repairs can be completed within an hour! Drop off or mail-in service available. 1 hour drop off turnaround and 24-48 hour mail-in turnaround. 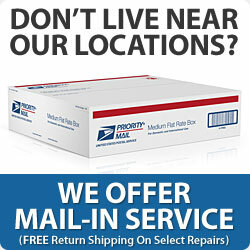 Free return shipping on mail-in repairs! Call today for an appointment, 508-744-6799. Samsung Galaxy S3 front screen replacements are now $200. Most companies are charging $299 for the same repair. We are not just replacing the glass, we are replacing the digitizer, glass, and LCD. This will ensure your device works perfectly. We repair all models of smart phones such as iPhones, Samsung and HTC. Most repairs can be completed within 30 minutes. We also offer house/ business call service for an additional fee. Contact us today. Need your iPhone or iPad repaired, but you are too busy to bring it to us? For an additional fee we can come to you. Schedule a house call appointment today, 508-744-6799. We reapir all models of Samsung phones and tablets on Cape Cod Massachusetts. Most repair are only 30 minutes. We repair all generations of iPads. Most repairs can be completed with 1 hour. Drop off or mail-in service available. Fast, professional and reasonably priced. 1 hour drop off turnaround and 24-48 hour mail-in turnaround. We fix broken screens, dock/ charging ports, power buttons, home buttons, batteries, water damage and more, for a lot less than you think. Mobile Device Medics, formerly Cape iRepair, repairs all generations of iPads, iPhones and iPods as well as other makes and models of smart phones and tablets. From battery replacement, water damage, bottom, headphone jack and screen replacements we do it all. We service all makes and models of smart phones and tablets. Apple, Samsung, HTC, Kindle and more. We have the best prices anywhere and provide 30 minutes to one hour turnaround. Mobile Device Medics (Formerly known as Cape iRepair) repairs all generations of Apple iPod’s such as the Touch, Nano and Classic. We replace hard drives, LCDs, glass/digitizers, click wheels, batteries etc… If your iPod is not currently working we can fix it for a lot less than you think.